Special seasonal packaging adds value for customers. At the 95-unit, Texas-based Twin Liquors, approximately 25 supplier-packaged gift sets are featured, varying in selection by store size and demographics. “In-store merchandising is fundamental to stimulate gift set sales,” says David Jabour, president of the retail chain. Gift sets from top-selling spirits brands such as Crown Royal, which includes two rocks glasses ($25), and Jack Daniel’s Tennessee Whiskey, which comes packaged with a highball glass ($22), are integrated into mass displays that spotlight the core brand. Spirits gift sets are prominently displayed at Twin Liquors stores, including at highly visible areas like checkout lanes. 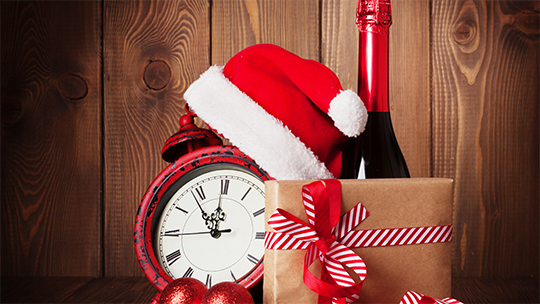 While wine dominates the gift basket segment, spirits lead in gift sets. “Gift set consumers share very little overlap with gift basket consumers,” Jabour notes. Gift sets have evolved from their classic iteration, which typically featured a bottle and two glasses. Don Julio Tequila, for example, offers a lime press with a bottle of Don Julio Silver ($47). Some gift sets now feature product samples, while others are packaged with bar tools and flasks. The Glenmorangie 10-year-old single malt Scotch is packaged with 50-ml. bottles of Glenmorangie Lasanta and Glenmorangie Quinta ($40). 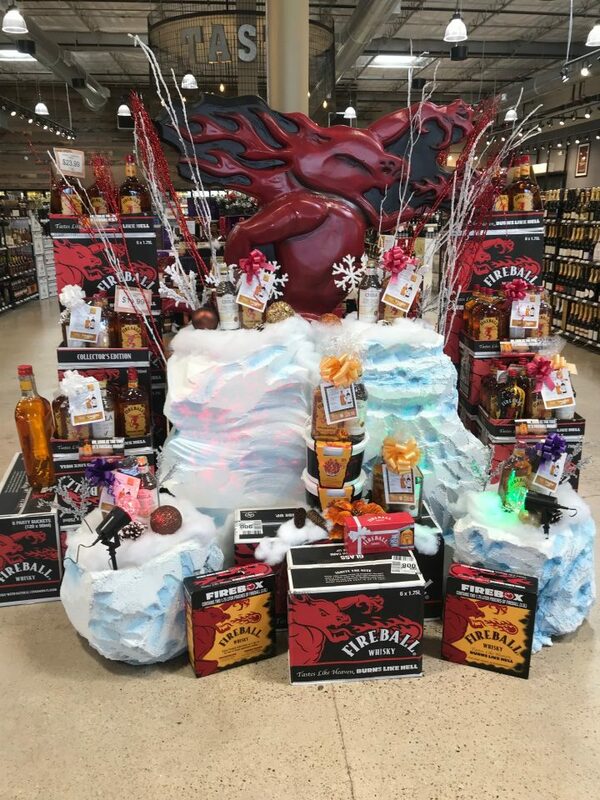 Twin Liquors showcases a prominent display of Fireball gift sets (pictured above) for the holiday season. Marketview is offering 120 wine and spirits gifts sets this year, a 15% increase from 2017. “For the most part, the gift sets are the same price at retail as a naked bottle,” says Mike Palmeri, owner and founder of Marketview. Whiskies and liqueurs dominate the spirits gift set category at the store, but Palmeri notes that Tequila gift sets are on the rise. Champagne offerings such as Perrier-Jouët Grand Brut with two flute glasses ($50), meanwhile, tend to lead on the wine side. The store is also seeing an increase in wine gift sets that include new augmented technology labels, such as 2016 Intrinsic Cabernet Sauvignon with two wine glasses ($18) and 2016 Cooper & Thief Red—a red blend aged in Bourbon barrels—with two whiskey glasses ($24). Big spirits gift set-sellers at the store also include Kahlúa with a coffee mug ($25), Jack Daniel’s Tennessee whiskey with two shot glasses ($29), St-Germain elderflower liqueur with two glasses and stir rods ($32), and RumChata cream liqueur with a tumbler ($20). “Over the course of the year, our total sales comprise about 65% wine and 35% spirits, but during the holidays, our percentage of spirits sales greatly increases due to spirit gifts sets,” Jedrewski notes.